As always, Urban Outfitters can be pretty pricey. I suggest keeping your eyes out for sales and search online for coupon codes. It’s also only available online. 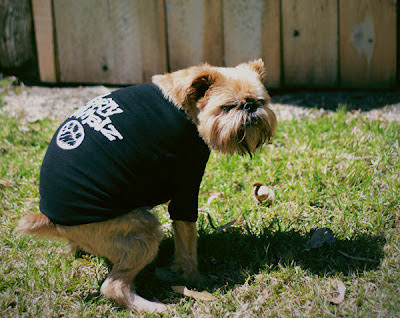 Now you’ll have to excuse me – I have to go dig out my needle and thread. There’s been a few times that I’ve picked up a cheap jacket from H&M, Gap, Goodwill, the flea market, or what not that I really like and is well made, but it’s missing that extra detail that fits my style. Patches are a great way to add that finishing touch. 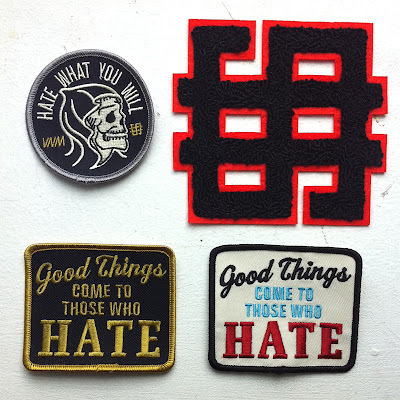 Quite a few indie brands have been offering up patches as of late, these are the offerings from VNM. I purchased the “Hate What You Will” patch when it first came out, and the other 3 when they dropped early March. 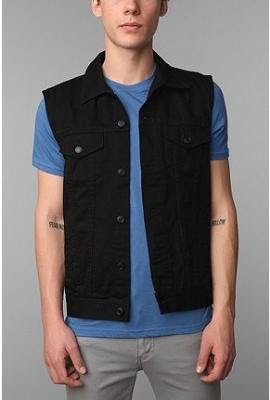 I’ve seen around the internet that a lot of people are adding them to denim vests. I put the “Hate What You Will” patch on my black pleather Converse bomber jacket along with a few other patches (I used double-sided fabric tape so that I didn’t poke holes in the material). I plan on adding the white “Good Things” patch to my Gap camo union jacket, in addition to a Cobra Dogs patch to show some snowboard love. Still trying to figure out what to do with the orange and black “Letterman” patch and the black “Good Things” patch – thinking I might put them on a nylon coach’s jacket.